What does one do on a rainy day (or weekend in my case)? Baking! One recipe that I’ve been fiddling with for a couple weeks has me thinking that I’ll be baking a great deal more muffins in my future. Why you ask? Because I have found my new favorite muffin recipe base. 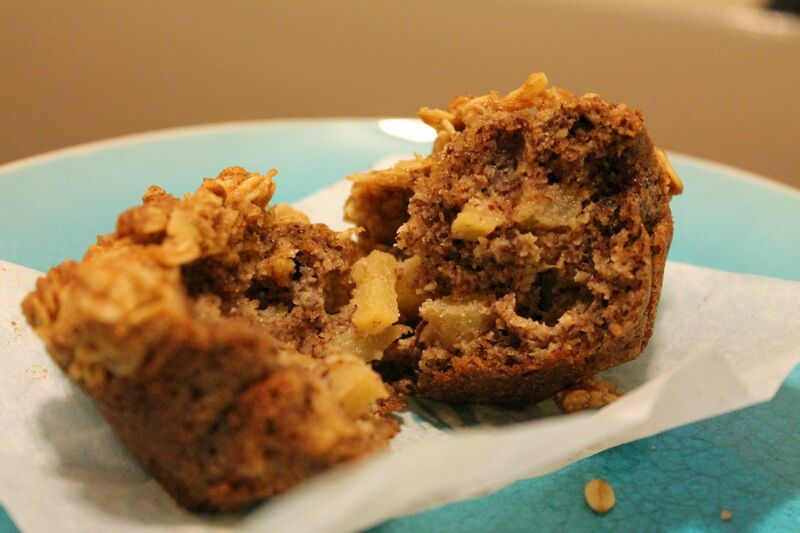 The resulting muffin is moist and substantial with a hint of coconut flavor/aroma and crunchy sweetness. It’s packed with protein! How? 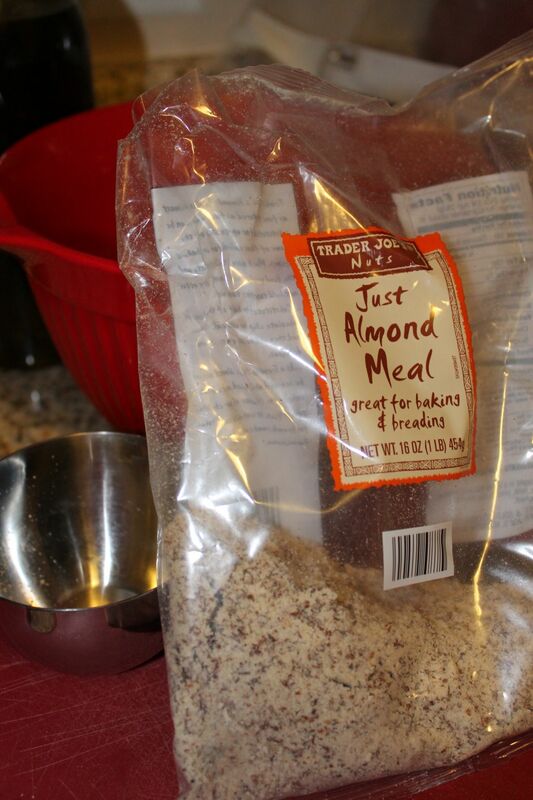 Because it’s mostly almond meal! Plus it includes an egg and a heaping scoop of protein powder. I’ve tried nut-based baked goods before and they were good, but nothing was this good. I found the recipe inspiration from a Peas and Thank You recipe. I kept the basics the same and substituted some ingredients, then added a few things here and there. Now I just can’t get enough! 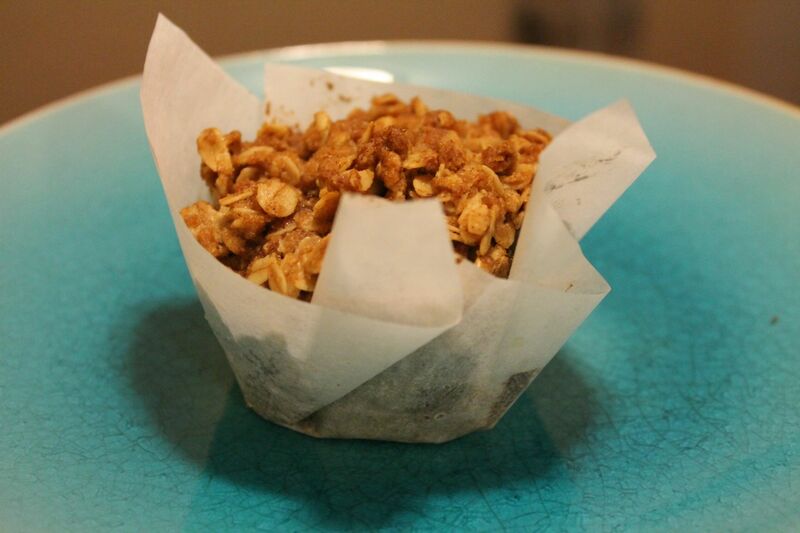 One of my new favorite shows on the Cooking Channel, Simply Baking, gave me the idea of using parchment paper as the muffin liners (much easier than you’d think) and they add just a special little touch. I started with apples, but I already have a ginger peach version in the works. All that taste-testing is tough work you know. Have to get it just right. Dice up your peeled apple and place in bowl. 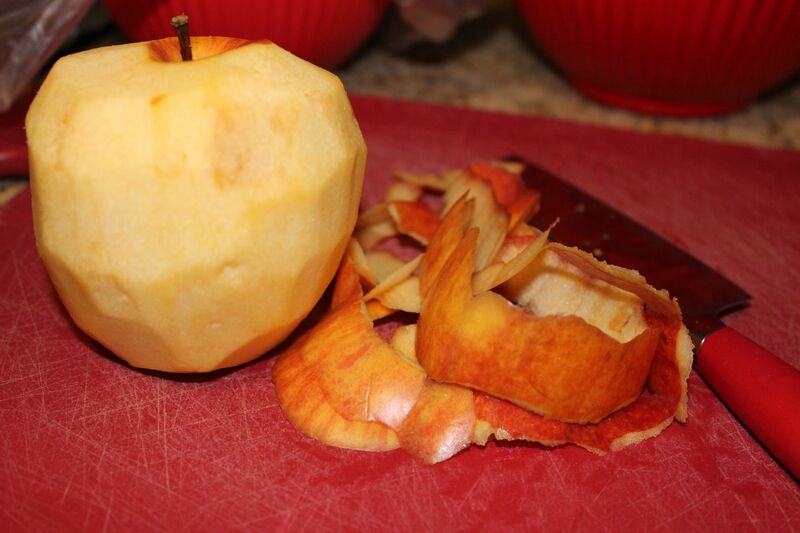 Immediately mix the lemon juice with the apple slices. 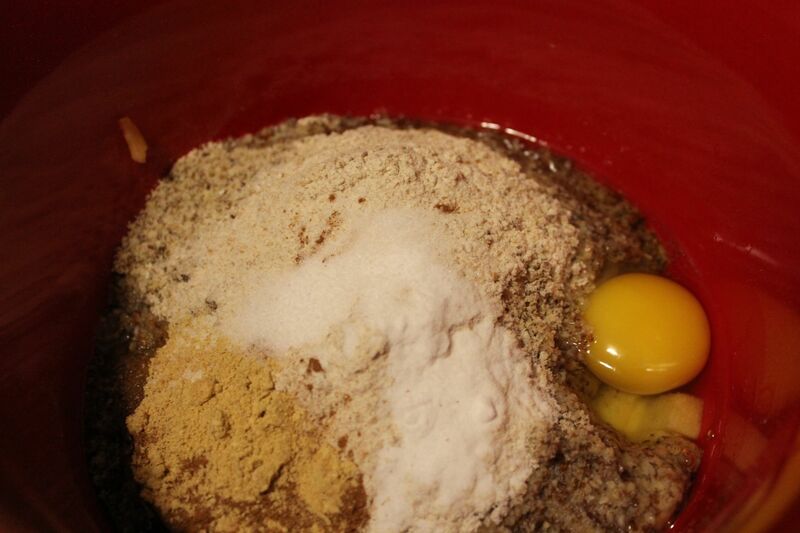 In a separate bowl, combine the dry ingredients in a bowl. Warm the coconut oil in a saucepan on low heat until it’s liquid and then remove from heat. Add the vanilla extract and egg to the coconut oil and then combine with the dry ingredients. In a separate small bowl, combine all the topping ingredients and mix together. 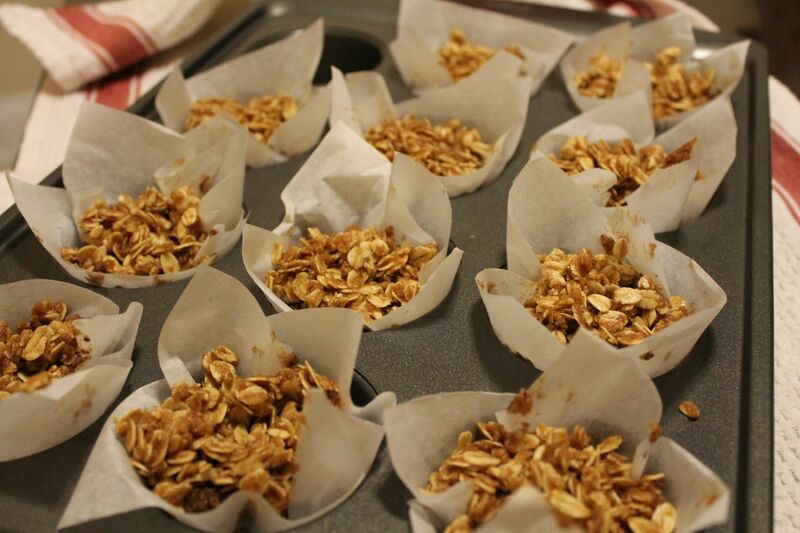 Fill each muffin liner about 2/3 with muffin mix, then top with a heaping tablespoon of the topping mix. Bake for 25-27 minutes. Let cool. 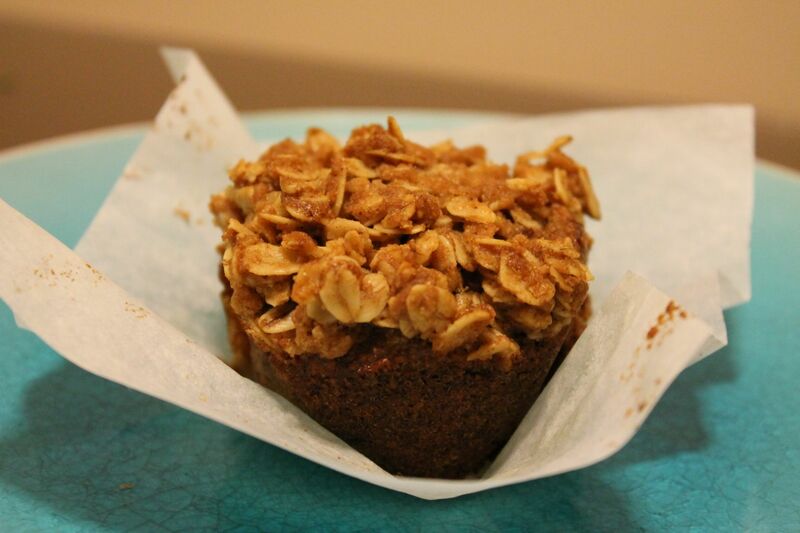 Have you tried almond based baked goods? What did you think?